Make business process smarter with an ERP solution designed for small & medium enterprises. 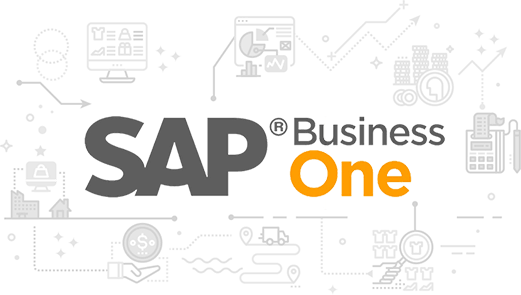 SAP Business One application is an all-in-one, affordable ERP solution to manage your entire business from sales and customer relationships to financials and operations. Designed specifically for SMEs, it helps businesses streamline processes, act on timely information, and accelerate profitable growth. SAP Business One allows you to stay on top of your business and provide a true and unified picture of critical, up-to-the-minute business information across your organization with embedded CRM, finance, manufacturing and analytical capabilities. Improve business agility and prevent data silos by seamlessly integrating SAP Business One into your business landscape. Enjoy the power of SAP Business One as per your specific budget needs. Automate your business processes and gain complete control of your business- financials, sales, inventory, and more. Deploy SAP Business One on-premise or in the cloud in as little as 2 to 8 weeks*. SAP Business One provides a complete set of tools to automate everyday financial tasks and manage cash flow, track assets and streamline your financial operations. This module helps you to make top-level strategic decisions with better financial insight and analysis. The stock capabilities of SAP Business One enable users to keep a track of surplus inventory, optimize stock movements across multiple warehouses and locations. The SAP Business One embedded CRM functions record every sales opportunity across the customer lifecycle and help you turn prospects into customers and achieve a high level of customer satisfaction. SAP Business One helps you streamline your entire purchasing process, including purchase orders, receipts, invoices, and vendor invoice payment. It also helps you make smarter buying decisions with detailed purchasing reports and dashboards. The comprehensive capabilities of SAP Business One help your business optimize and streamline the entire sales process. From tracking leads to managing sale orders to deliveries to invoices, it offers all the required functions to manage sales orders & order-to-payment process. The service management capabilities help service departments respond promptly to service calls, provide proactive support to customers, track customer interactions, activities and improve service call management. SAP Business One offers extensive integrated reporting tools to create up-to-the-minute reports with ease. This module also lets you create business, accounting, finance, warehouse reports in a variety of formats like Microsoft® Excel®, Microsoft® Word® and PDF. SAP Business One offers a simple yet powerful planning system to help you have 360-degree view of your manufacturing unit. This module also helps in effectively managing bills of materials (BOMs), production orders and material requirements in a specified timeframe. 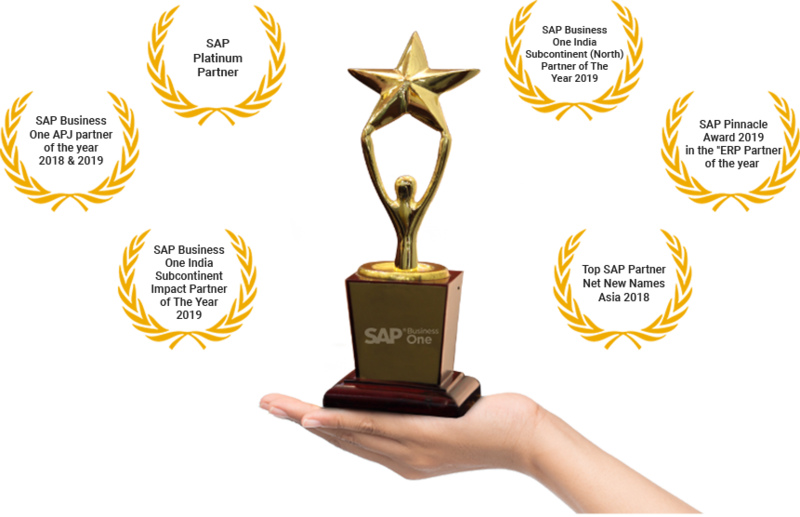 Awarded as the #1 SAP Business One Partner for 06 consecutive years in a row. Amongst a strong group of 400+ partners, we have been awarded as the “Best SAP Business One Partner in India” for 06 times in a row. Uneecops has recently been awarded “Partner of the Year- India 2018” , “Partner of the Year APJ 2018” and “Top Partner - Net New Names- Asia 2018” awards making it as Asia #1 SAP Gold Partner. A complete array of SAP Business One services (ERP services), trust of our 200+ satisfied customers and consecutive recognition by SAP are a testimony of our expertise and proficiency. MD, SRSG Broadcast India Pvt. Ltd. acknowledges how SAP Business One has enabled the business to innovate, reduce time to market and streamline business operations. Anubha Gupta Director of Gopal Corps Ltd. acknowledges how with SAP Business One the company has attained more precision and all business functions are now streamlined. Anubha Gupta Director, Gopal Corps Ltd.